What is the Sum of First 100 Positive Integers which are Divisible by 3? 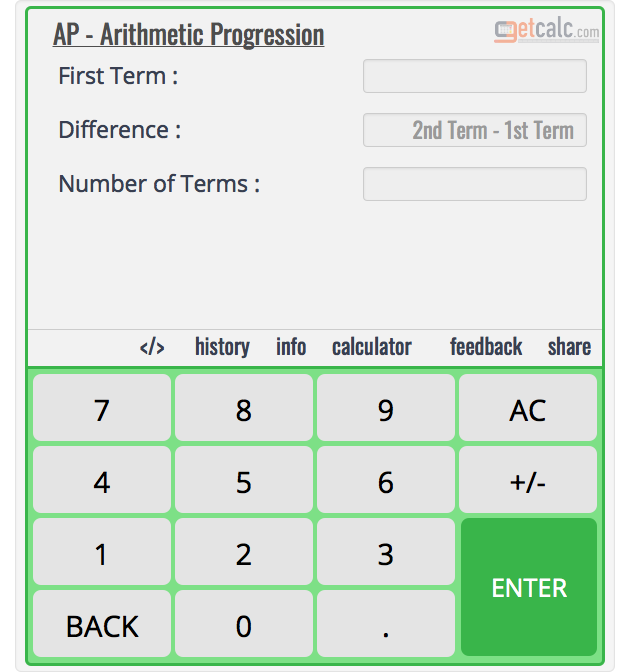 getcalc.com's Arithmetic Progression (AP) calculator, formula & workout to find what is the sum of first 100 positive integers which are divisible by 3. 15150 is a sum of number series by applying the values of input parameters in the formula. How to Find the Sum of First 100 Positive Integers which are Divisible by 3? 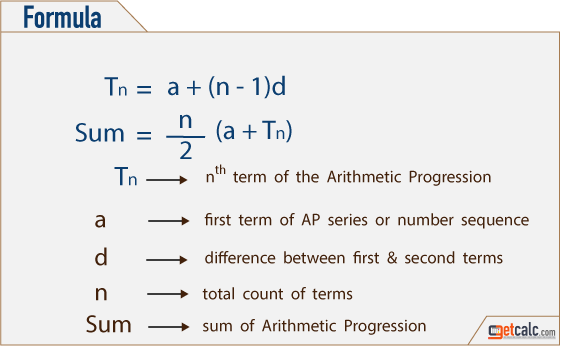 The below workout with step by step calculation shows how to find what is the sum of first 100 positive integers which are divisible by 3 by applying arithmetic progression. It's one of the easiest methods to quickly find the sum of given number series. step 1 Address the formula, input parameters & values. The number series 3, 6, 9, 12, 15, 18, 21, . . . . , 300. Therefore, 15150 is the sum of first 100 positive integers which are divisible by 3. What is the sum of numbers from 1 to 300? What is the sum of numbers from 51 to 100? What is the sum of numbers from 1 to 50? What is the sum of numbers from 1 to 25? What is the sum of numbers from 201 to 500? What is the sum of numbers from 501 to 1000?